The Cleveland Orchestra believes that an education that includes music and the arts gives children the tools to succeed in school and in life. Through Musical Neighborhoods, The Cleveland Orchestra collaborates with the Cleveland Metropolitan School District (CMSD) to support student learning through music at the early childhood level. This multi-faceted program brings Cleveland Orchestra musicians into Pre-K classrooms teaching curriculum-linked lessons, offers workshops to teachers and onsite training, engages families, and strives to use music to build school readiness skills so that these preschoolers start kindergarten ready to learn. 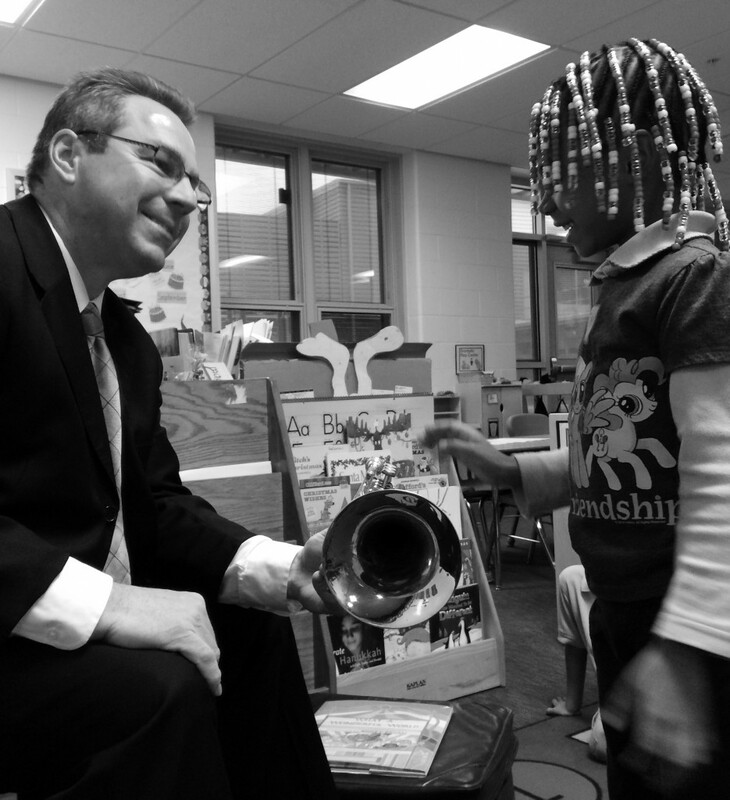 In 2015-16, Musical Neighborhoods will serve 360 students and 36 teachers in 15 CMSD Pre-K classrooms. 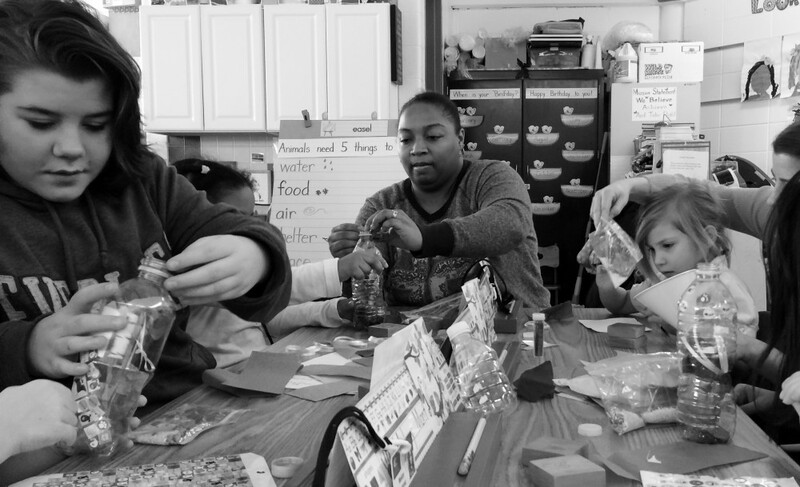 The program is oversee by Manager Rachel Novak who works collaboratively with the CMSD teachers to implement the activities in the classroom and to provide workshops. “Every year, I am inspired by the dedication of our partner teachers to their students, and their commitment to providing children with a solid educational foundation in spite of adversity. Through Musical Neighborhoods, we are building relationships with teachers that grow stronger every year and help us to find ways to use our resources and expertise to support teachers, and make teaching easier and more joyful, while providing children with excellent learning experiences using music to build school readiness skills,” says Novak. According to an outside evaluation of the program, CMSD teachers and administrators consistently commented on how well the program has been implemented and how readily available Ms. Novak is to provide advice and support. “I feel more comfortable using music in the classroom because of these lessons, and I am finding even more musical tools on my own that help the students learn,” says Brent Sisson, a Pre-K Teacher at Riverside Elementary School. “By teaching creative thinking strategies through this curriculum, our girls will be able to utilize these skills in other areas of the classroom, to become true leaders in the community,” says Victoria King, Principal at Douglas MacArthur Girls’ Leadership Academy. Ms. Novak is committed to spending as much time as possible in the classrooms in order to continue learning which techniques and lessons resonate with teachers and students and will be relevant to them. The classrooms inform the program design, which is always evolving and staying current. “The best part of my job is seeing a child’s face light up with excitement over the chance to look inside of a tuba or strum on the strings of a violin. The most effective lessons are those in which we allow the children’s natural creativity and curiosity to shine,” says Novak.